Hi! I am Sara, mom to three amazing kids and I am passionate about all things handmade. 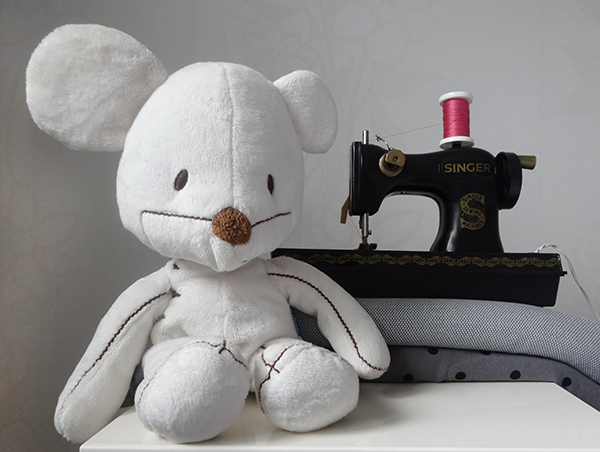 Sewing is a passion that I share over my blog – Made by Sara – and on Instagram. I was thrilled when Olu invited me for this blog tour! (Thank you and Anna!) I am so in love with this blouse… Head on over my blog to check my version of this pattern. Please remember to leave a comment on the Florence Competition Page to help us choose a winner. Anna and I will be deciding the winner over the weekend and it’s not going to be easy. Hi, I’m Ajaire from Call Ajaire and I’m excited to participate in this series, but first a brief introduction. I’ve always loved making. At an early age I started cross stitching and sewing and I taught myself to knit and crochet during college. When our now three and a half year old daughter Bean was born I was filled with all sorts of inspiration, so now I find ways to manage my crafty time and treasure those moments. Okay, I won’t hold out any longer…. I just can’t wait for you to see more of the Florence I made for my girl! Hi I’m Sam from Bonnie & Lottie. When Olu contacted me about the Florence I was so flattered to be included and immediately intimidated. 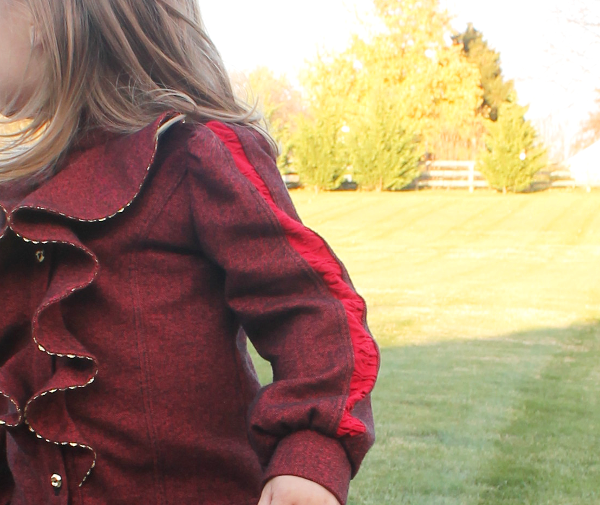 Although I have sewn many outfits for my 2 daughter’s, I have been able to avoid the blouse. It took me ages to find the right fabric but when I did, it all came together! Head on over to my adventures in blouse making with a festive spin. Thanks Olu! And don’t forget to head over to the Florence Competition page and tell us your favourite Florence so far. Hi there! I’m Sarah from The Crazy Tailor and I’m here with my twist on the Florence! I’m a huge PDF pattern addict (also, I love Kam Snaps, but that’s another story…) and I always like to give them my own spin! Head on over to my blog to see what I did to change this blouse up a little! Thanks for having me, Olu! Made by Toya is a place for sharing my passion for sewing plus some family friendly craft projects and tutorials. I am a self-taught home sewer and predominantly make clothes for my 2 daughters and myself. I love learning new techniques and experimenting with pattern drafting. The Florence Christmas Blog Tour was my first blog tour, and due to a combination of over-enthusiasm and indecisiveness I chose to make two different versions. 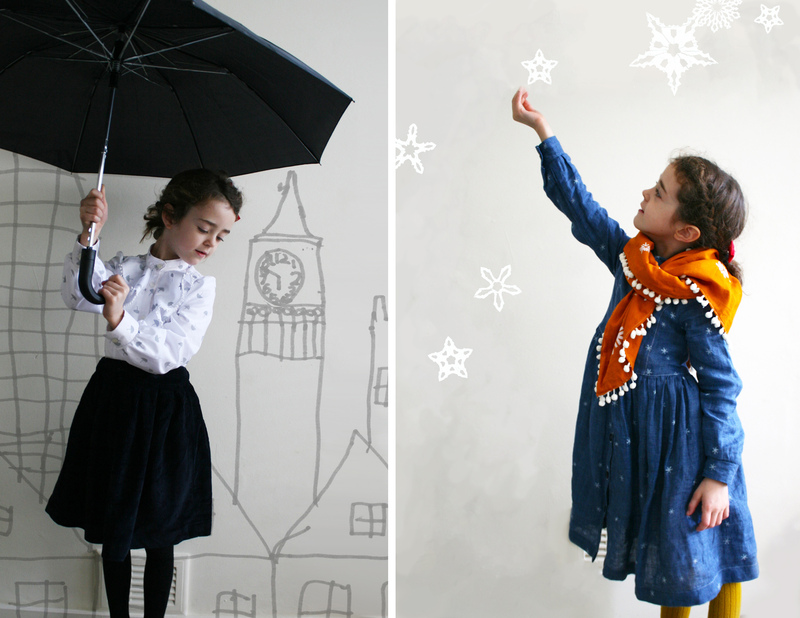 For the first, a Mary Poppins inspired look, I followed the original pattern faithfully, and for the second, a snowflake shirt dress I played around with the original pattern quite a lot. You can details of both projects here. Hi, I’m Teri! 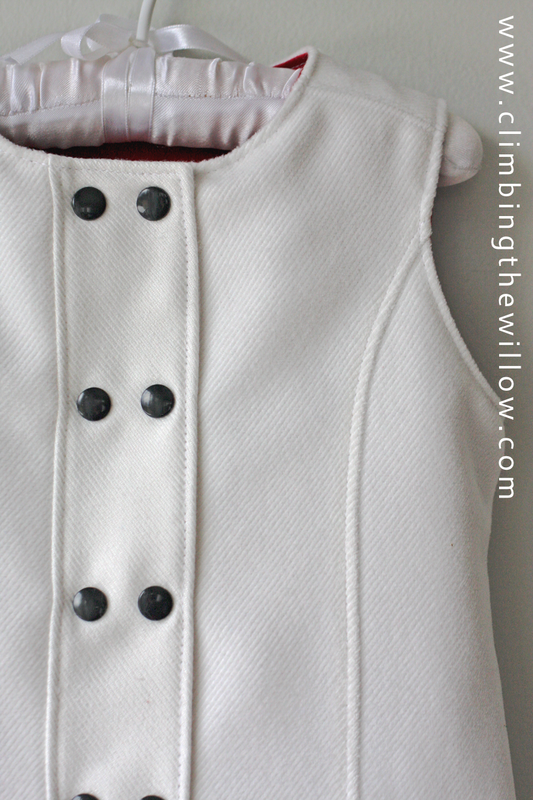 I’m a mom to six kids who keep me pretty busy 🙂 But in my spare time, I love to blog about my sewing projects over at Climbing the Willow. I was thrilled when Olu asked me to be part of the tour for the Florence Blouse by MadeIt Patterns. I’ve never tried one of Anna’s patterns, and this seemed like a perfect opportunity! But, as always, I couldn’t just sew the pattern as is, so I made a couple of changes to make Mae a Christmas jumper that can be worn throughout the winter. I’m not sure that white was the best choice for my always-in-the-middle-of-the-mess toddler, but I love how it turned out, so she’s wearing it anyway!